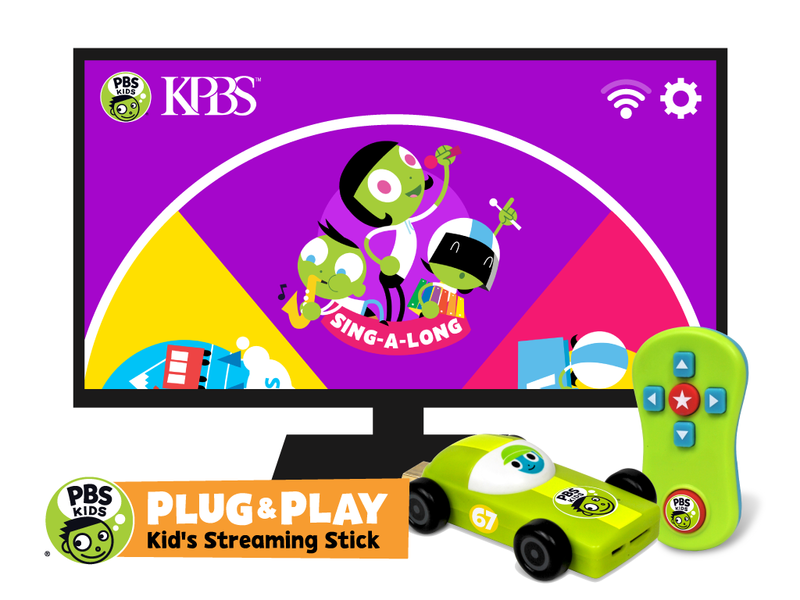 Did you know that this week, PBS KIDS launched the first ever kid-safe TV and playtime streaming stick? Now I'm not promoting increased screen time for your little ones, but I do advocate that when your child is watching TV, the content be child-friendly AND educational! The PBS KIDS Plug & Play device is pre-loaded with exclusive sing-alongs, games and more, which can all be accessed without Wi-Fi (I love that it doesn't eat up my data!!). This allows kids to navigate through the interactive playtime experience, in an entirely kid-friendly environment, with access to nothing but kids content. When connected to Wi-Fi, the Plug & Play’s features expand, offering free access to PBS KIDS’ 24/7 channel and livestream, and over 100 hours of on-demand videos, with no subscription required. So let's say that you let your little one watch TV for one hour three times a week. With this device, you can rest easy knowing that they will have over 33 weeks of quality, educational content in videos alone. That's not including the sing-alongs, games and other stuff. So when you put it all together, that's basically one school year! And that's a parenting win-win. The PBS KIDS Plug & Play will be available for $49.99 in Walmart stores nationwide by May 24 and other retailers later this year. Disclosure: I am a PBS KIDS ambassador, which essentially means I learn about new programs and products to share with my readers on a regular basis. I did not receive any compensation for this post and all thoughts and opinions are my own.